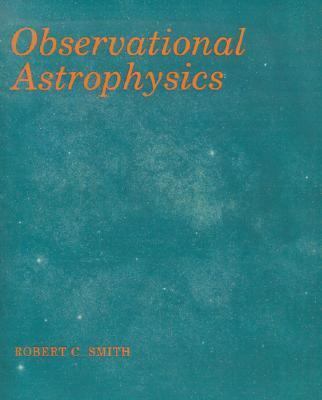 Combining a critical account of observational methods (telescopes and instrumentation) with a lucid description of the Universe, including stars, galaxies and cosmology, Smith provides a comprehensive introduction to the whole of modern astrophysics beyond the solar system. The first half describes the techniques used by astronomers to observe the Universe: optical telescopes and instruments are discussed in detail, but observations at all wavelengths are covered, from radio to gamma-rays. After a short interlude describing the appearance of the sky at all wavelengths, the role of positional astronomy is highlighted. In the second half, a clear description is given of the contents of the Universe, including accounts of stellar evolution and cosmological models. Fully illustrated throughout, with exercises given in each chapter, this textbook provides a thorough introduction to astrophysics for all physics undergraduates, and a valuable background for physics graduates turning to research in astronomy.Smith, Robert C. is the author of 'Observational Astrophysics', published 1995 under ISBN 9780521278348 and ISBN 0521278341.